Chord Detector is a music player with real time chord detection. 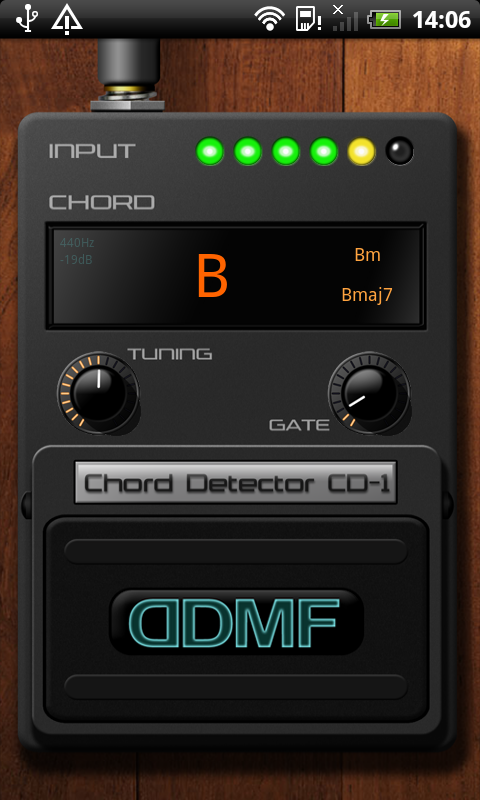 There are people with perfect pitch that can easily recognize a chord just by natural talent or via ear training, then there are the lazy techie people that will use tools to get the same results - via a chord detection android app like the Chord Detector. You just have to load the song that you want to learn the chords from, click play, then the chords will be displayed in real time. Chord Detector is a program that monitors a set of virtual strings vibrate in response to real-time audio frequencies, then it makes chord suggestions based on these vibrations.